Harvest your materials with the Death Valley Harvesting Tool. Skull Trooper. Hyper-articulated (18 points) – perfect for emote posing. Ready for battle with the powerful Epic Bolt-Action Sniper Rifle. It stands approx. We will arrange the pickup of the item. It stands approx. We will arrange the pickup of the item. These are industry accepted discrepancies. Harvest your materials with the included Bitemark. REST OF THE WORLD - £13.99 GBP. Harvesting Tool. Cuddle Team Leader. Skull Trooper. Ready for battle with the powerful Epic Bolt-Action Sniper Rifle. Harvest your materials with the Death Valley Harvesting Tool. PRODUCT FEATURES. It stands approx. We will arrange the pickup of the item. - Complete with Dark-Ages-inspired Black Shield back bling. These are industry accepted discrepancies. Take photo of outside, inside and contents of the box. Equipped with the Grenade Launcher.Harvest your materials with the Axecalibur Harvesting Tool. 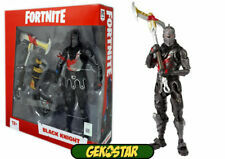 Black Knight. *IMPORTANT - THIS IS A PRE-ORDER ITEM* Stock is due approximately late April, however please note that sometimes unavoidable delays can occur by the manufacturer. In the unlikely event this happens we will give you a guaranteed 100% refund at your request. By ordering this item you are acknowledge these terms. Any queries please message through, we're here to help. Straight from the Rift and ready for anything, Drift enters the mix in pursuit of a Victory Royale! Design directly sculpted and painted from in-game assets Hyper-Articulated (22 points) - perfect for Emote posing. Comes complete with the Pool Party Back Bling Ready for battle with the Legendary Assault Rifle. Harvest your materials with the included Party Animal Harvesting Tool Drift is showcased in premium glossy Fortnite themed window box packaging. Despite their very different backgrounds, the three share an unspoken bond protecting the other survivors, as well as themselves, from walkers and other enemies looking to thwart their livelihood. Cuddle Team Leader. The beloved Cuddle Team Leader is here to steal your heart and lead your team to victory. Hyper-articulated (18 points) – perfect for emote posing. Equipped with the Legendary Assault Rifle. 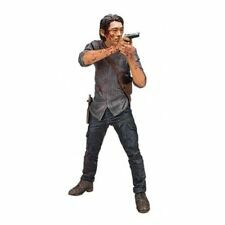 Brand: McFarlane ToysYear: 2018Size: 7"
The walking dead Lee everett Skybound Exclusive Figure. Condition is New. Dispatched with Royal Mail 1st Class. The Neighbor is decked out in his iconic sweater vest and gloves. We will arrange the pickup of the item. These are industry accepted discrepancies. Take photo of outside, inside and contents of the box. Spectacular likeness of Demogorgon sculpted from images from the show. Predator city hunter from predator 2 movie, by McFarlane toys. Smart Disc storage and holder on right leg. IS NOT included, and was used for showcasing the sale item (predator) multiple positions that can be done using it's joints, and detachable arm. 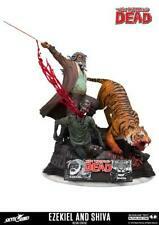 Ending Today at 10:02PM BST12h 41mBrand: McFarlane ToysCharacter: PredatorSize: 2"
Manufacturer: Mcfarlane Toys. Warning: Choking Hazards - Small Parts. The mysterious Neighbor takes on a more ominous tone with his alternate butcher's apron attire. We will arrange the pickup of the item. These are industry accepted discrepancies. Take photo of outside, inside and contents of the box. COD Action Figure Lieutenant Simon Ghost Riley Call of Duty Figure Mcfarlane. Condition is New. Dispatched with Royal Mail 2nd Class. *IMPORTANT - THIS IS A PRE-ORDER ITEM* Due for release the first week of May, however please note that sometimes unavoidable delays can occur by the manufacturer. In the unlikely event this happens we will give you a guaranteed 100% refund at your request. By ordering this item you are acknowledge these terms. Any queries please message through, we're here to help. The heroic Carbide has arrived just in the nick of time to save the day and protect your collection. 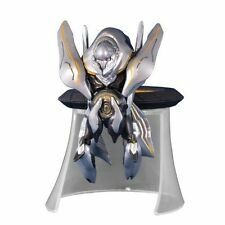 The Carbide action figure features a design directly sculpted and painted from in-game assets. 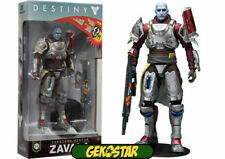 The figure is hyper-articulated at 22 points - perfect for Emote posing! 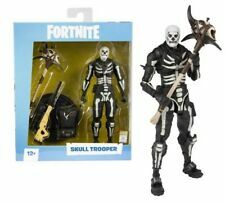 The Fortnite Series 1 Carbide Action Figure stands at 7-inches tall, comes complete with the Stabilizer back bling, and devastating grenade launcher. Though brave and selfless, he often finds himself in situations that could spell his own end. Circular black base included for dynamic posing. McFarlane Toys 14679 The Walking Dead 7" Negan Action Figure. Condition is Used. Dispatched with Royal Mail 2nd Class. No box but has his spare hand and bat and also comes with his stand. I bought this predator as a project a few years ago and decided to stay pretty close to its original spec. Have made custom weapons for its right hand, replaced the lower right side mandible and custom made a robot skull with real wires coming from its neck. Orders are always sent in cardboard boxes, protected with heavy duty bubble wrap/cushions. 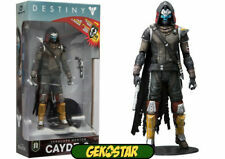 Destiny Hunter Million Million Shader Figure By McFarlane Toys. Condition is New. Dispatched with Royal Mail Signed For® 2nd Class. Punk Eleven features amazing likeness to actress Millie Bobby Brown. Polish: Dla naszych cenionych zagranicznych klientów oferujemy konkurencyjne stawki opłat kombinowanych. Możesz robić zakupy u nas w wygodny i ekonomiczny sposób i cieszyć się zakupami. Though brave and selfless, he often finds himself in situations that could spell his own end. Black circular base included. Harvest your materials with the included Positron. Item is due for release on the 26th April 2019. REST OF THE WORLD - £13.99 GBP.